There is a widespread consensus amongst psychologists that tyranny triumphs either because ordinary people blindly follow orders or else because they mindlessly conform to powerful roles. However, recent evidence concerning historical events challenges these views. In particular, studies of the Nazi regime reveal that its functionaries engaged actively and creatively with their tasks. Re-examination of classic social psychological studies points to the same dynamics at work. This article summarises these developments and lays out the case for an updated social psychology of tyranny that explains both the influence of tyrannical leaders and the active contributions of their followers. A search for the roots of this position takes us on a well-worn trail through many of the most famous psychological studies ever conducted. It starts with the work of Solomon Asch, which has been understood to show that fellow group members can influence people to deny the evidence of their own eyes so that they mismatch lines of clearly different length. It continues through the obedience studies of Stanley Milgram (1974), in which well-adjusted men participating in a bogus memory experiment proved willing to deliver electric shocks of murderous magnitude to another person who posed as a ‘learner’. It culminates with Philip Zimbardo’s Stanford Prison Experiment. Here college students who were randomly assigned to be guards in a simulated prison adopted their roles with such brutality and vigour that the study had to be halted before it was half-way through. But the evidence is not just psychological. At the very same time as Milgram was running his studies in the United States, the influential political theorist Hannah Arendt was in a courtroom in Jerusalem watching the trial of Adolf Eichmann — one of the chief architects of the Endlösung der Judenfrage (the ‘final solution to the Jewish question’). In many ways, then, Eichmann should be the personification of evil – akin to the monster Saturn depicted devouring his own son on the cover of this issue. Yet at his trial what struck Arendt was not how evil he appeared but, on the contrary, how utterly normal he was. He came across as a bland, passionless, simple man. This, for her, was the truly frightening thing, because it meant that Eichmann could not be dismissed as mad or as different from the rest of us. In Arendt’s (1963) words, the lesson of the trial was that of the ‘fearsome, word-and-thought-defying banality of evil’. This view that ordinary people can do monstrous things derives strength neither from psychology alone nor from history alone, but from the convergence between the two. And that convergence extends beyond identification of the phenomenon, to the way in which it is explained. According to Arendt, Eichmann and his fellow bureaucrats became obsessed with the technical details of genocide (e.g. timetabling transport to the death camps) and, in so doing, they lost sight of the larger picture. They had no awareness that their acts were wrong. They simply followed orders mechanically, unimaginatively, unquestioningly. When Milgram sought to make sense of what had happened in his own obedience studies, he explicitly adopted this explanation, noting that ‘Arendt’s conception of the banality of evil comes closer to the truth than one might dare to imagine’ (1974, p.23). In his own writings, though, he translated Arendt’s ideas into the concept of an ‘agentic state’ in which people suspend their capacity to make informed moral judgments and relinquish responsibility for what they do to those in authority. Regardless of what it is that they are being asked to do, once in an agentic state, the person’s sole concern becomes how well they do the bidding of these authorities. These ideas were later taken even further by Zimbardo. He argued that the sense of obligation and duty to which Milgram referred was not dependent on the presence of strong authority figures. Instead, he suggested that people can be led to perpetrate atrocities not because they blindly follow orders, but because they conform blindly to what is expected of them as a group member. Thus, in the specific case of the Stanford study, Zimbardo and colleagues argued that ‘acts of guard aggression were emitted simply as a “natural” consequence of being in the uniform of a “guard” and asserting the power inherent in that role’ (Haney et al., 1973). The message here is that even the most thoughtful and humane individual will become a brutal zombie if put in the wrong sort of group. Accordingly, tyranny is not something we have control over or responsibility for. It is not only ‘natural’, in many situations it is inevitable. To bring things full circle, just as Milgram based his analysis on Arendt’s historical observations, so the historian Christopher Browning (1992) later used Zimbardo’s psychological explanations to explain historical evidence related to the activities of Reserve Police Batallion 101, a Nazi killing unit that murdered around 40,000 Polish Jews at the height of WWII. Browning argues that the members of this unit were just ‘ordinary men’ (the title of his book) and that the situation in 1940s Poland, together with the role expectations placed upon Nazi battalions, was enough to make mass murderers of them – just as, in Stanford, ‘the prison system alone was a sufficient condition to produce aberrant, anti-social behaviour’ (Browning, 1992, p.168). Browning ends his book with the disturbing question: ‘If the men of Reserve Police Batallion 101 could become killers under such circumstances, what group of men cannot?’ (p.189). Until recently, there has been a clear consensus amongst social psychologists, historians and philosophers that everyone succumbs to the power of the group and hence no one can resist evil once in its midst. But now, suddenly, things don’t seem quite so certain. On the historical side, a number of new studies – notably David Cesarani’s (2004) meticulous examination of Eichmann’s life and crimes – have suggested that Arendt’s analysis was, at best, naive. Not least, this was because she only attended the start of his trial. In this, Eichmann worked hard to undermine the charge that he was a dangerous fanatic by presenting himself as an inoffensive pen-pusher. Arendt then left. Had she stayed, though, she (and we) would have discovered a very different Eichmann: a man who identified strongly with anti-semitism and Nazi ideology; a man who did not simply follow orders but who pioneered creative new policies; a man who was well aware of what he was doing and was proud of his murderous ‘achievements’. Individuals demonstrated commitment by acting, on their own initiative, with greater brutality than their orders called for. Thus excess did not spring from mechanical obedience. On the contrary; its matrix was a group structure where it was expected that members exceed the limits of normal violence. In short, the true horror of Eichmann and his like is not that their actions were blind. On the contrary, it is that they saw clearly what they did, and believed it to be the right thing to do. But even if Hitler’s killers were not the mindless functionaries of fable, doesn’t the work of Milgram and Zimbardo still show that ‘ordinary men’ can become brutal by becoming mindless under the influence of leaders and groups? Not really. For if the studies of Milgram and Zimbardo are subjected to the same close critical scrutiny that has transformed Holocaust scholarship, their explanations are also found wanting. In arguing this, we are not questioning the fact that both studies are of great importance in showing that ordinary people can do extreme things. The issue, rather, is why they do them. In Milgram’s case there are three key problems with his ‘agentic state’ account. First, there is no relationship between the extent to which people cede responsibility to experimenters and the extent to which they obey them. It is not true that people obey because they have put themselves in the hands of an authority figure. Second, if one listens to the conversations that occurred between participants and experimenters, it is clear that people are not concerned simply with how well they are ‘following orders’. Rather they are very aware of the shocks they are inflicting on ‘learners’ and they wrestle with their consciences in seeking to determine whether what they are doing is morally justifiable in general terms or even noble in terms of assuring scientific progress. Third, there is considerable variation in the level of obedience displayed in different variations of the study which are hard to explain in Milgram’s own terms. For instance, the study was conducted both in prestigious Yale and down-market Bridgeport. One might expect the relative authority of the experimenter to be greater in the less privileged area, thus leading to more of an agentic state and hence more compliance. Yet obedience was actually lower in Bridgeport than Yale. An alternative approach is to suggest that participants were less likely to identify with experimenters in Bridgeport and hence less likely to take on board their scientific priorities (relative to the welfare needs of fellow participants). This suggests that whether we listen to authorities or support victims depends upon the extent to which we perceive ourselves to share social identification with them (Turner, 1991). We can create in the prisoners feelings of boredom, a sense of fear to some degree, we can create a notion of arbitrariness that their life is totally controlled by us, by the system, you, me… They’ll have no freedom of action, they can do nothing, or say nothing that we don’t permit. We’re going to take away their individuality in various ways. In general what all this leads to is a sense of powerlessness. What is striking here is the way in which Zimbardo both defines the guards and himself as part of a common group (‘we’) and then defines the tyrannical ways in which all should behave. That is, not only is he the source of malevolent leadership (like Milgram’s experimenter), but he also actively encourages the guards to identify with his leadership. Even so, not all the guards went along with him. Zimbardo notes how some sided with the prisoners, some were strict but fair, and only a minority became truly brutal – notably one guard dubbed ‘John Wayne’ on account of his arrogant swagger. After the study, ‘John Wayne’ explained his actions, and it is apparent that he identified so fully with Zimbardo’s leadership that he fancied himself an experimenter in his own right – using his creativity and imagination to invent new humiliations and pushing people ever further to see how far they would go before they snapped (Zimbardo, 2007). So from Stanford, as from the obedience studies, it is not valid to conclude that people mindlessly and helplessly succumb to brutality. Rather both studies (and also the historical evidence) suggest that brutality occurs when people identify strongly with groups that have a brutal ideology. This leads them to advance that ideology knowingly, creatively and even proudly. The question we need to address then is ‘What leads people to create and maintain such social identifications?’ We suggest there are three parts to the answer. In a simple but powerful study, Carnaghan and McFarland (2007) placed two adverts in a newspaper. The first advert was an invitation for individuals to participate in a standard psychological experiment. The second followed the wording of the original advert for Zimbardo’s Stanford study — calling for people to participate ‘in a psychological study of prison life’. Those who responded to the second advert were very different from those who responded to the first. They were much more likely to believe in the harsh and hierarchical world that exists in prison. This finding suggests that, where there is a free choice, not just anyone would elect to put themselves in a ‘prison’ situation and take on a ‘prison’ role. The simplest way of explaining such choices would be to put them down to personality, level of authoritarianism, social dominance, or some other such individual factor. However, our own prison study (conducted in collaboration with the BBC; Reicher & Haslam, 2006, and www.bps.org.uk/pris) suggests a more nuanced explanation. Here (as in Zimbardo’s study) several of those assigned to be guards refused to embrace this role. The primary issue for these individuals was how an enthusiastic embrace of the guard group membership would impact upon their other valued group memberships. Would tyrannical behaviour undermine their social identities at home, at work, at leisure? This suggests that people will be less likely to identify with groups with tyrannical norms the more that their membership of groups with different norms is salient and the more that they are made accountable to those alternative groups. It may be that there are certain people who, in any given context, are more likely to identify with tyrannical and brutal groups, but equally there are some contexts which make everyone more likely to accept such groups. Perhaps the most surprising finding from the BBC Prison Study was its demonstration of the way in which our participants, who started off holding democratic views and opposing inequality, gradually became more authoritarian as their groups failed to function effectively and the overall system fell into chaos. In such situations, the notion of a strong leader who would forcibly – even brutally – impose and maintain order became, if not actually attractive, at least less unattractive (Haslam & Reicher, 2007b). What we saw here, then, was that authoritarianism – often seen as the key personality variable that explains the dynamics of tyranny – was itself changed as a function of social dynamics. I reached the conclusion that no party but a single man alone could save Germany. This opinion was shared by others, for when the cornerstone of a monument was laid in my hometown, the following words were inscribed on it: ‘Descendants who read these words, know ye that we eagerly await the coming of the man whose strong hand may restore order’. Theoretical and practically, the dynamics through which such views emerge point to ways in which standard personality-based accounts of tyranny need to be radically rethought. Whatever is going on in the world, however great the crisis, it is still necessary for people to make sense of events, to explain how current difficulties came about and to have a vision of how they can be resolved. But we do not interpret the world on our own, as many social psychological models tend to imply. Rather, people are surrounded by would-be leaders who tell them what to make of the world around them. For this reason, the study of leadership must be a central component of any analysis of tyranny and outgroup hostility. Indeed, tyrannical leaders only thrive by convincing us that we are in crisis, that we face threat and that we need their strong decisive action to surmount it. In the BBC study, participants as a whole may have become relatively more authoritarian, but it still needed active leadership to exploit this and to make the case for a new tough regime.The role of leaders becomes particularly pernicious when they suggest that ‘our’ problems come about because of the threats posed by a pernicious outgroup. In this way they can begin to take the groups with which we already identify and develop norms of hostility against outsiders. Their role becomes even more dangerous when they tell us that ‘we’ are the sum of all virtues so that the defence of virtue requires the destruction of the outgroup that threatens us. These are the conditions which allow groups to make genocide normative and to represent mass murder as something honourable (Reicher et al., 2006). It was the logic to which Eichmann subscribed when, after the end of the war, he said: ‘If, of the 10.3 million Jews…we had killed 10.3 million, then I would be satisfied. I would say “All right. We have exterminated an enemy”’ (quoted in Cesarani, 2004, p.219). Until recently, psychologists and historians have agreed that ordinary people commit evil when, under the influence of leaders and groups, they become blind to the consequences of their actions. This consensus has become so strong that it is repeated, almost as a mantra, in psychology textbooks and in society at large. However critical scrutiny of both historical and psychological evidence – along with a number of new studies, e.g. Krueger (in press); Staub (in press) – has produced a radically different picture. People do great wrong, not because they are unaware of what they are doing but because they consider it to be right. This is possible because they actively identify with groups whose ideology justifies and condones the oppression and destruction of others. As we have suggested, this raises a whole set of new questions: Who identifies with such groups? When does identification become more likely? How do genocidal ideologies develop? What is the role of leaders in shaping group ideology? We do not pretend to have a full set of answers to these questions. But we do insist that, unless one asks the right questions, any answers will be of little use. Our complaint against the old consensus is that, for far too long, it has asked the wrong questions and led us to seek the key to human malevolence in the wrong place. Cesarini’s study of Eichmann led him to conclude that: ‘the notion of the banality of evil, combined with Milgram’s theses on the predilection for obedience to authority, straitjacketed research for two decades’ (2004, p.15). We agree. As John Turner (2006) argues, it is time to escape our theoretical prisons. When we think of torturers, tyrants and their lackeys, we tend to think of men. And it is certainly true that most of the psychological studies of conformity, obedience and inhumanity have only involved male participants. However, history shows that women can be every bit as inhumane as men. One need only think of Irma Grese, the most brutal of the 200 female SS guards at Auschwitz or Ilse Koch, the head female guard at Buchenwald. As with their male counterparts, research by Claus Christensen (2006) suggests that the female SS killers did not have extraordinary backgrounds but were ‘ordinary women’ who, for a range of reasons, became highly identified with the ideology and goals of the Nazi regime. or impede identification with authoritarian groups. Abel, T. (1986). Why Hitler came to power. Cambridge, MA: Harvard University Press. Arendt, H. (1963). Eichmann in Jerusalem: A report on the banality of evil. New York: Penguin. Browning, C. (1992). Ordinary men. London: Penguin. Carnahan, T. & McFarland, S. (2007). Revisiting the Stanford Prison Experiment. Personality and Social Psychology Bulletin, 33, 603–614. Cesarani, D. (2004). Eichmann: His life and crimes. London: Heinemann. Christensen, C.B. (2006). The women from Lublin: The guards of Majdenek. Historisk Tidsskrift, 106, 583–585. Haney, C. Banks, C. & Zimbardo, P. (1973). Interpersonal dynamics in a simulated prison. International Journal of Criminology and Penology, 1, 69–97. Haslam, S.A. & Reicher, S.D. (2007a). Beyond the banality of evil. Personality and Social Psychology Bulletin, 33, 615–622. Haslam, S.A. & Reicher, S.D. (2007b). Identity entrepreneurship and the consequences of identity failure. Social Psychology Quarterly, 70, 125–147. Hobsbawm, E. (1995) Age of extremes: The short twentieth century 1914–1991. London: Abacus. Krueger, J.I. (in press). Lucifer’s last laugh. American Journal of Psychology. Rees, L. (2005). 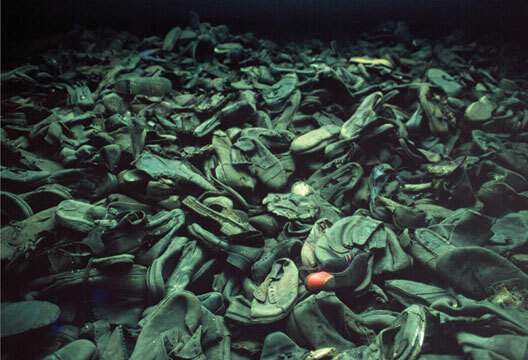 Auschwitz: The Nazis and the ‘Final Solution’. London: BBC Books. Reicher, S., Hopkins, N., Levine, M. & Rath, R. (2006) Entrepreneurs of hate and entrepreneurs of solidarity. International Review of the Red Cross, 87, 621–637. Sofsky, W. (1993). The order of terror. Princeton, NJ: Princeton University Press. Staub, E. (in press). Evil. PsyCritiques. Turner, J.C. (1991). Social influence. Milton Keynes: Open University Press. Turner, J.C. (2006). Tyranny, freedom and social structure. British Journal of Social Psychology, 45, 41–46.